The stadium can be reached via the Harrison station on the Port Authority Trans-Hudson system PATH train (20 minute ride from NYC) as well as from Newark Penn Station and New Jersey Transit's Newark Broad Street stations. 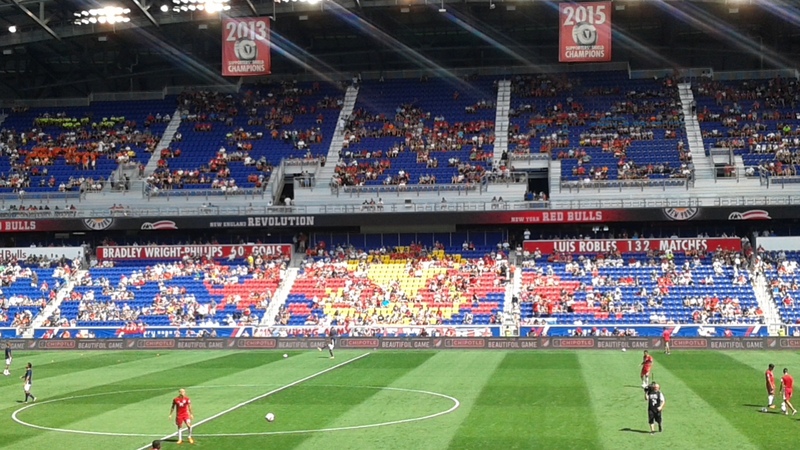 Also, parking lots are available for fans driving to Red Bull Arena for an event. In 2011, Dispatch played the first concert in the history of Red Bull Arena. The sound, acoustics and sightlines were highly acclaimed by media as well as the sold-out crowd. In addition, the venue has hosted world-class events including the 2011 MLS All-Star Game featuring Manchester United and a professional rugby Aviva Premiership match between the London Irish and Saracens. 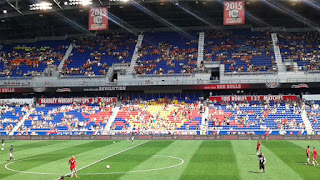 The Chelsea Football Club, United States Men's National Soccer team and United States Women's National Soccer team have also played on the pitch of Red Bull Arena. "We are very excited to bolster our concert and live entertainment offerings for consumers in the New York Metro Area," said Marc de Grandpre, General Manager, New York Red Bulls. "Red Bull Arena will be a destination that creates a world-class experience for entertainers and an enjoyable, accessible and safe entertainment venue for fans." Red Bull Arena has hired music industry veteran Bettie Levy, CEO of BCL Entertainment, to oversee strategy and booking for all concerts, festivals and music initiatives at the venue. Red Bull Arena was recently awarded the JD Power "Best In Fan Experience" selected from all sports and entertainment venues in the New York metro area. Areas evaluated included ticket purchase, arrival at the game, leaving the game, security/ushers, seating area/game experience, food/beverage, souvenir/merchandise, overall satisfaction, team performance and loyalty. Earlier in the year, Red Bull Arena was the recipient of the Security Staff of the Year Award, for its outstanding work throughout the season and particularly for the security plan in November 2015 during a time of heightened security worldwide, following the terrorist attacks in Paris.